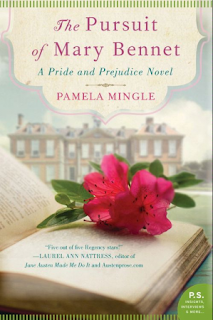 Synopsis: A tale of love and marriage, society balls and courtship, class and a touch of scandal, Pamela Mingle's The Pursuit of Mary Bennet is a fresh take on one of the most beloved novels of all time, Jane Austen's Pride and Prejudice. Growing up with four extraordinary sisters—beautiful and confident Jane and Elizabeth, and flirtatious and lighthearted Lydia and Kitty—wasn't easy for an awkward bookworm like Mary Bennet. But with nearly all of her sisters married and gone from the household, the unrefined Mary has transformed into an attractive and eligible young woman in her own right. When another scandal involving Lydia and Wickham threatens the Bennet house, Mary and Kitty are packed off to visit Jane and her husband, Charles Bingley, where they meet the dashing Henry Walsh. Eager and naïve, Mary is confused by Henry's attentions, even as she finds herself drawing closer to him. Could this really be love—or the notions of a foolish girl unschooled in the art of romance and flirtation? My Review: The Pursuit of Mary Bennet is a sequel to Pride and Prejudice. Instead of Elizabeth as the protagonist, the story is told through the eyes of plain, bookish, and awkward Mary Bennet. With three of her sisters married, Mary is content living at Longbourne. She knows that because of her looks, she has no qualities that would attract a husband. She believes that she will always be a spinster. When she visits her sister Jane at High Tor, Mary meets a handsome and dashing gentleman named Henry Walsh. Mary learns that her sister Kitty likes him too, and the two enter into a rivalry to catch Henry’s eye. However, Mary begins to lack self-confidence. She wonders if she will be able to attract a man like Henry. She questions if she should continue her pursuit or stay away. In Pride and Prejudice, Mary is often overlooked by her livelier and prettier sisters. The reader often forgets that she is there and wonders why Jane Austen included her in the novel because she plays no importance to the plot. However, in The Pursuit of Mary Bennet, Mary is a more fleshed out character. We can relate to her. She is a young woman that lacks confidence. She is constantly being put down by her mother and overlooked by her family. Her mother and her sister Lydia treat her more as a servant than a sister. 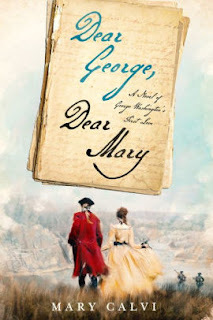 Throughout the novel, Mary tries to find meaning and love in her life. Because she is more relatable in the sequel, I actually found her to be very likable. Mary still had some foolish tendencies that were emphasized in the original novel, and she had trouble in making decisions. However, she eventually grew into a more mature and confident young woman. Overall, The Pursuit of Mary Bennet is about a young woman’s quest to find her own identity. I thought the sequel stayed true to Jane Austen’s original characters. I was a bit disappointed with how Lydia was handled. She was still foolish and more annoying than in the original novel. However, I liked to have thought that she gained some maturity once she became a married woman. The Pursuit of Mary Bennet is not without its flaws. I thought Henry Walsh was a boring love interest. He did not have much character development. There were also some repetitive and drawn-out scenes. Nevertheless, The Pursuit of Mary Bennet is a simple and sweet love story. It is the perfect book with which to spend a lazy summer afternoon! 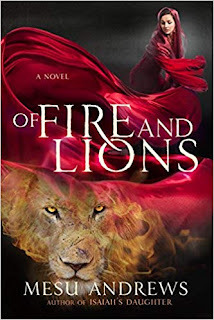 I highly recommend it for fans of Jane Austen and regency novels!